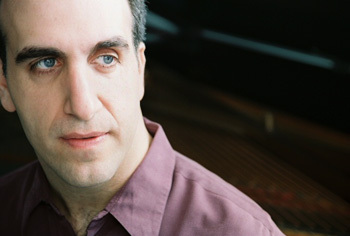 Michael Kanan hails from Boston, Massachusetts where he first began to play the piano at age 7. He started improvising at the keyboard early on, and by age 10 he was listening to jazz. His first instructor was pianist Harvey Diamond, a student of jazz innovator Lennie Tristano. During his years at Boston College, Michael had the opportunity to perform with several jazz greats including Tal Farlow, Lee Konitz, Al Cohn, and Alan Dawson. After graduating college and doing some freelance work around Boston, he moved to New York in 1991 to study with another Tristano student, the pianist Sal Mosca. He established himself in New York, playing and recording with Kurt Rosenwinkel, Mark Turner, and Jorge Rossy, among others. He also developed a growing reputation as a vocal accompanist. In 1996, he joined the band of legendary singer Jimmy Scott, touring the US, Europe, and Japan and recording 4 CDs. In 2001, Michael became the accompanist and arranger for one of today's most celebrated vocalists, Jane Monheit. With Ms. Monheit's group, he has toured all over the world, recorded several CDs and DVDs, and made many TV appearances, including The David Letterman Show and The Conan O'Brien Show. When not on the road with the Monheit band, Michael performs and records with his own groups. He has made two trio recordings for Barcelona's Fresh Sound New Talent label: "Convergence" and "The Gentleman Is A Dope", both featuring bassist Ben Street and drummer Tim Pleasant. He has also recorded a duet with his longtime collaborator, alto saxophonist Nat Su, entitled "Dreams And Reflections". He can be heard around New York with his trio featuring guitarist Greg Ruggiero and bassist Neal Miner. Today, Michael lives in Brooklyn, and is a student of classical piano teacher Sophia Rosoff.